The source novel "challenges its viewers toconsider the consequences when the pursuit of justice is placed on a public stage," according to Variety who first reported the deal on Wednesday afternoon. Tapping one of the biggest true crime podcast producers, the producers have brought on Sarah Koenig, the creator of the popular "Serial." 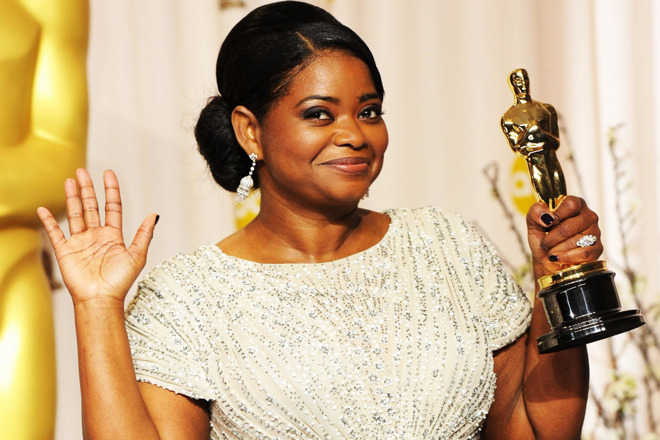 Starring in the show, is "Hidden Figures," "The Help," and "The Shape of Water" star Octavia Spencer. Spencer won a best supporting actress Oscar, Golden Globe, and BAFTA award for her role in "The Help" in 2012. Reese Witherspoon's Hello Sunshine studio is linked to the project, making it the second Apple-funded production attached to the actress. The first show is as of yet untitled, but features Witherspoon and Jennifer Aniston in a drama based on morning show production. The terms of the deal are not known, nor is Apple's total investment in the project. Besides the Aniston and Witherspoon show, In 2017, Apple also reportedly provided a blank check to Drake for his own shows and movies, and signed a deal with "Star Trek" and "Battlestar Galactica" reboot alum Ronald D. Moore for a new space drama. It is also reportedly paying $5 million per episode on a ten-episode season of "Amazing Stories," a revival of the Amblin Television and NBCUniversal science fiction anthology.